Sponsored by Redhead at Little Red Reviewer, the Vintage Science Fiction month! 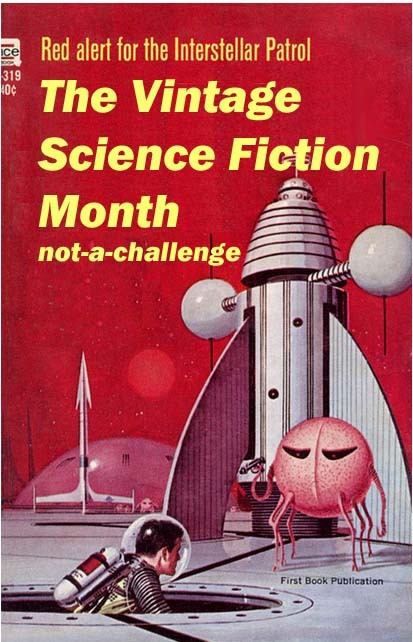 (not a challenge) has us focus on reading “older than I am” science fiction. Our mission (not a challenge :-) ) is to read science fiction and speculative fiction published before 1979. We're also encouraged to visit those worlds via audionovel, radio plays, TV or silver screen as well. After participating in 2014, I signed up for another round and, as a personal challenge, committed to at least two science fiction reads in January.